The A-LIST is an online database of Arab experts, women and men, offering instant access to carefully selected interview prospects from the Arab community, articulate and knowledgeable in diverse fields, for the Israeli media. The list was created in 2016 by ANU in partnership with Sikkuy. Today it features over 200 Arab experts and is expanding rapidly to include additional areas of expertise including business, technology, science, economics, health, education, foreign relations, the humanities, and more. Sikkuy created The A-LIST, operates it and promotes it to the media as part of a comprehensive Sikkuy strategy to achieve fair representation of Arab citizens in Israeli media. This broad-scale approach is grounded in our understanding that the exclusion of Arab citizens from the media is costly in many respects, and that the costs are borne by Arab society in Israel as well as by Israeli society as a whole. Long term research by Sikkuy, together with the 7th Eye and Yifat, reveals that in Israeli Hebrew-language media at the start of 2016, Arab interviewees averaged only 3% of the total, and most Arabs interviewed were queried about subjects directly related to their being Arabs, while only 10% were asked to discuss their areas of expertise. Why are so few Arabs interviewed as experts? A-LIST was created in response to a barrier that Sikkuy, like other similar organizations before it, had identified from the outset: Most journalists and media decision makers, particularly those who agreed at Sikkuy’s urging to increase the percentage of Arabs interviewed, complained that they had no access to suitable interviewees and especially not to Arab experts, and hence relied mainly on already-familiar sources. A-LIST now lets them connect easily with numerous experts from the Arab community, both women and men, about whom they previously knew nothing. The list was assembled to meet the needs of Israel’s major media and has readily accessible and updated content. We are also promoting A-LIST via social media and a regularly updated bulletin circulated monthly to hundreds of media people in Israel, with suggested interviewees who can address issues currently in the headlines. Our work in increased media representation for Arab citizens is yielding results. Among all Arabs interviewed in the media during 2016, the proportion interviewed as experts in their field rose from 10% to 30%. Amjad Shbita is a political and social activist, appointed Co-Executive Director of Sikkuy in March 2019, having worked in the organization for seven years: he originally joined Sikkuy in 2010 as co-director of the Equality Policy Department for egalitarian policy, filling this position for two years. 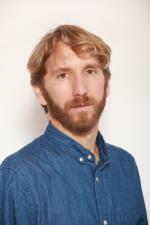 Then, in 2014, he joined Sikkuy once again, as head of Sikkuy's public activities within the Arab society and as co-manager of the Representation Index Project, reviewing the representation of Arab society in Israel's Hebrew media. In the past, Amjad had filled the role of secretary-general of Jewish-Arab youth movement Banki for six years, managed the parliamentary bureau of MK Dov Khenin (Hadash – Joint List), and worked as a reporter for Al-Ittihad, the only daily Arabic newspaper in Israel, and a member of its editorial board, as well as filling the position of content editor for the "Kol-Zchut" (=all rights) website in Arabic. Amjad is involved in struggles and initiatives striving for the advancement of peace, equality and the defense of democracy. He regularly publishes op-eds in both Hebrew and Arabic on the struggles of the Arab society and of the Arab-Jewish partnership in Israel. Amjad holds an M.A. in Political Science from the Hebrew University (2012) and an M.A. in Communication and Management from the College of Management (2001). He resides in Tira with his wife and daughter. Edan Ring began work as Sikkuy’s director of public affairs and communications in September, 2015. From 2009 he served as Sikkuy’s spokesperson when he was also Deputy Director of Social and Political Clients for the PR & media consulting firm, “UNIK”. In that capacity he advised and consulted to a variety of human rights NGOs, political organizations and philanthropic foundations working with them on public and political campaigns, media relations, branding and public relations. Edan was an editor and writer at the Haaretz newspaper and a cultural critic in a variety of media outlets. He holds a BA in history and computer science from Tel Aviv Uni. and an MA in Latin American history from Tel Aviv Uni. He is frequently published on topics relating to civic equality and Jewish-Arab relations. 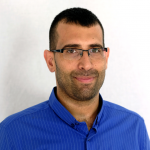 Edan lives in Herzliya with his partner, Ardith, and their two children.